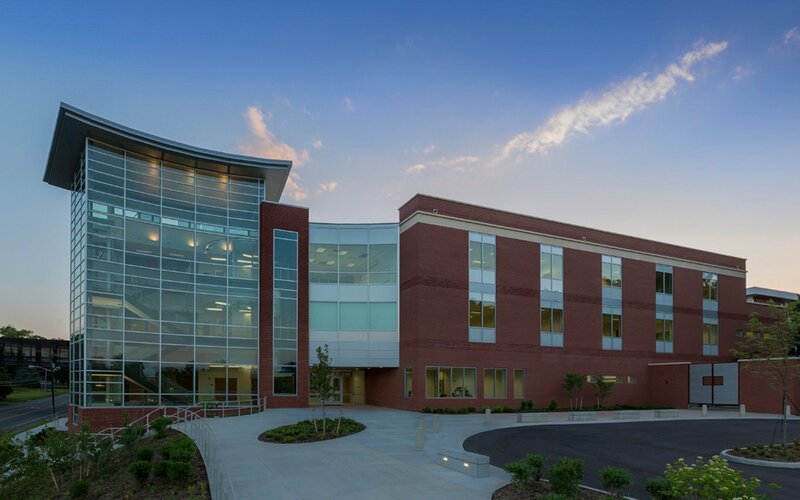 The first new building on Virginia Western Community College’s campus in 20 years, the Fralin Center for Science and Health Professions represents the importance of science and health professions – the College’s fastest growing programs – in today’s community college curriculum. 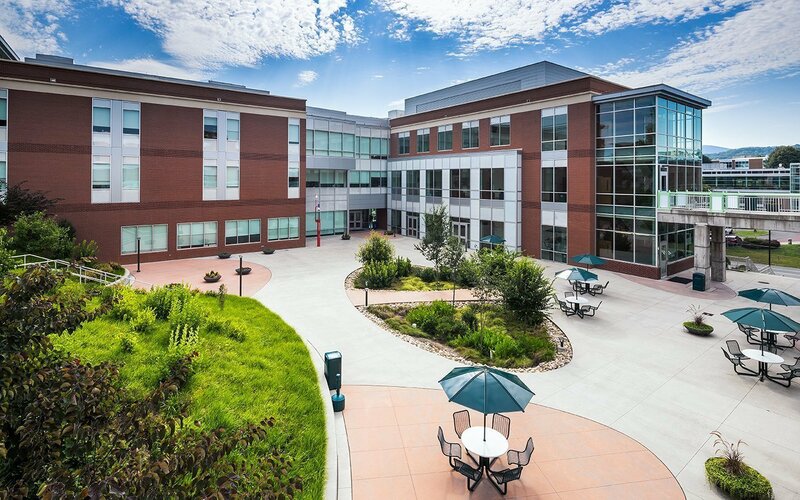 Providing needed space and upgrades to the College’s previous facilities, the Fralin Center will help prepare students for work in the healthcare industry in Roanoke Valley and beyond. The four-story center includes instructional, administrative and support spaces. 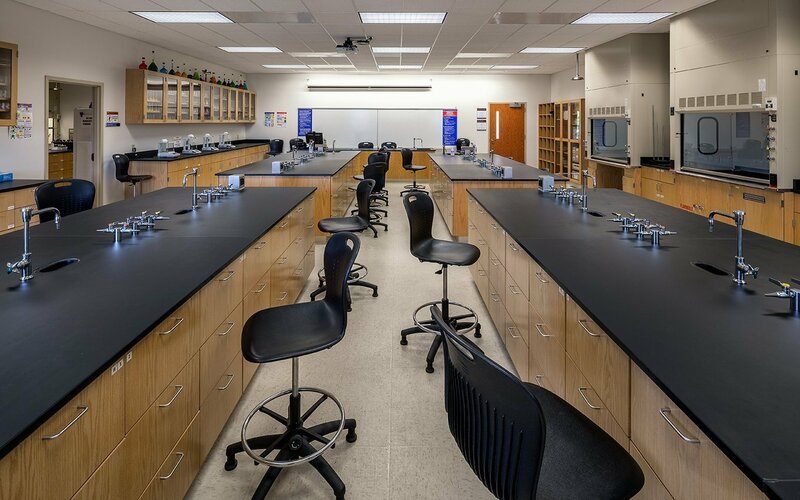 Classrooms, physical and life sciences labs, nursing skills lab and simulation labs, practical nursing skills lab, radiology and radiation oncology labs, a dental hygiene clinic, a multi-purpose space and offices make up the majority of the Fralin Center’s program. The design included site improvements to an existing adjacent courtyard. The new facility sits prominently on the “North Campus” of Virginia Western Community College, adjacent to the Business Sciences Building and Fishburn Hall, on a site currently occupied by a parking lot accessed from Colonial Avenue by McNeil Street. The existing topography, location and adjacencies contribute to a newly created “outdoor room” where students, faculty and administrators can gather to interact. 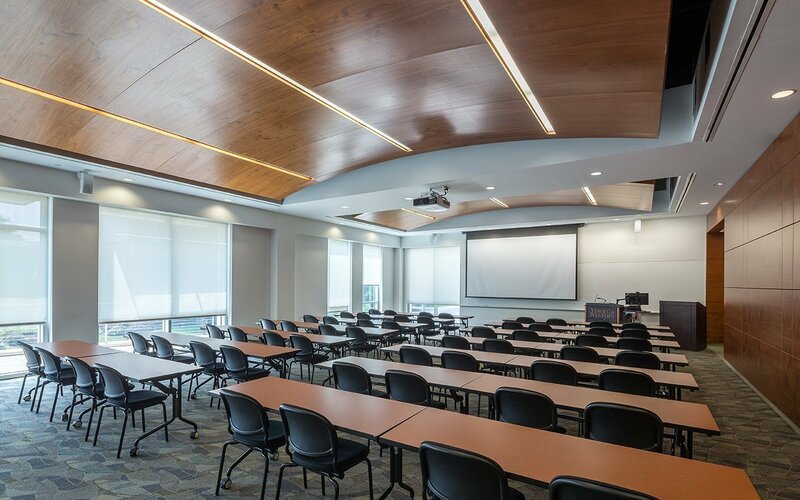 The Fralin Center project incorporated appropriate sustainable design features, practices, and materials, equivalent to the U.S. Green Building Council’s Silver level. Natural daylight, efficient energy systems and plumbing fixtures, and renewable materials were integral components to the facility’s design. 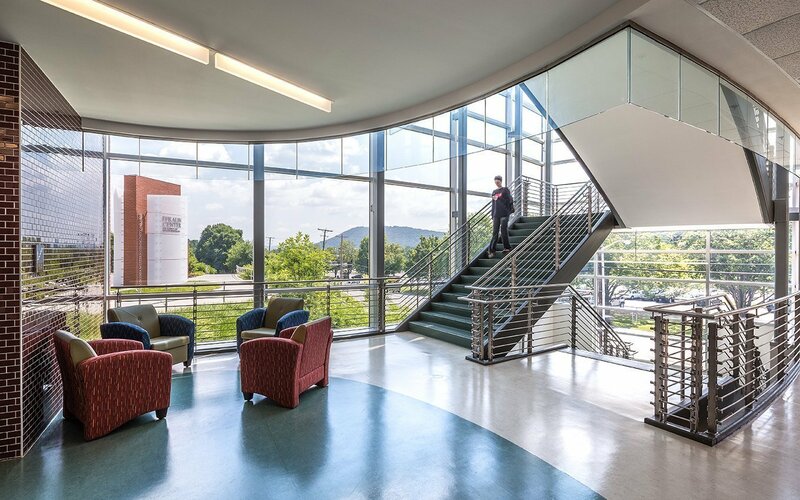 Other sustainable components include a “green roof” used for educational purposes, rain gardens, high efficiency glazing, and energy recovery mechanical systems.